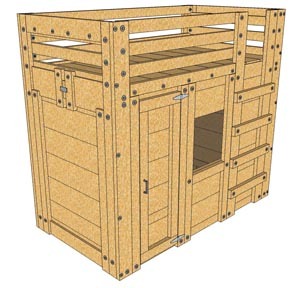 It’s easy to build a cabin bed. Let us show you how. 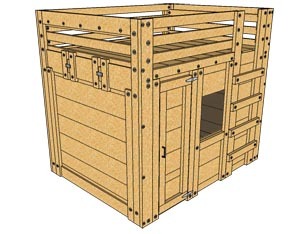 When you purchase these cabin bed plans, they’ll be available for instant download and you can get started on your project immediately. The plans were created with the woodworking novice in mind. There are no complicated cuts or expensive specialty tools needed. If you’re unhappy with the plans, just contact us within 30 days and we’ll refund your money.